OK, so some may say there’s no such thing as bad weather, just the wrong clothes but we say when you can’t see your hand in front of your face and the light is so bad that you can’t tell if you’re skiing uphill or downhil that it’s time to call it a bad weather day and do something else instead. Chill out, wait for the skies to clear and enjoy one of our favourite “day off” activities. Spa Day – when it’s cold outside and there’s a complete whiteout up the hill, conditions are perfect for treating yourself to a pamper session in a warm cosy spa. Mountain Lifestyle guests benefit from 10% discount at Deep Nature Spa (in Hotel Morgane and Hotel Aiglon) – just use the voucher in your welcome pack or call into our office in Chamonix Sud to pick one up. 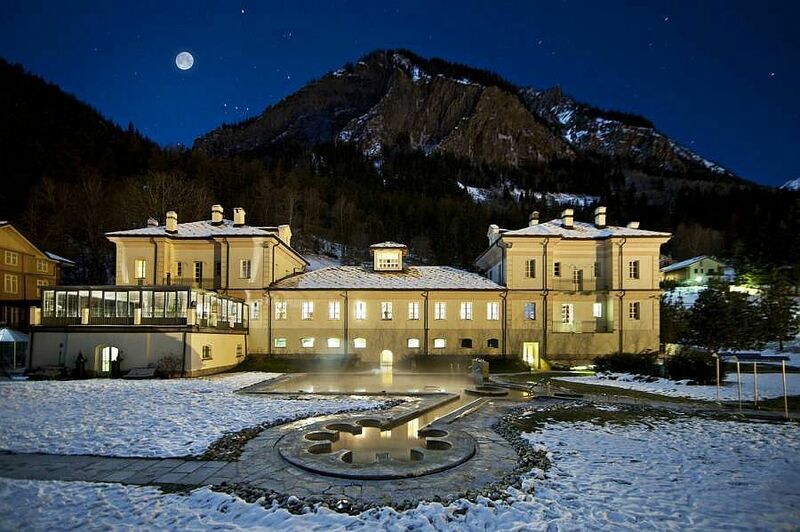 Or make a day of it and visit the wonderful Pré Saint Didier thermal spa in Courmayeur, Italy – steam rooms, saunas, outdoor hot tubs, things that shoot jets of water in unexpected places… we offer return transport for just over 20€ a head (180€ for an 8 seater minibus). Alternatively, stay in the comfort of your accommodation and have the spa come to you with an in-house massage treatment. Have a look at our Spas & Massage page for more information. Keep up to date with weather forecasts, snow conditions, lift openings and live webcams on our Snow & Weather page. Please be aware that although we’re very glad to see so much snow, the avalanche risk is going to be high over the next few days – please be patient and stay safe! If you have any doubts about the risks you can call into the Office de Haute Montagne near the tourist for expert advice on snow conditions and mountain safety. 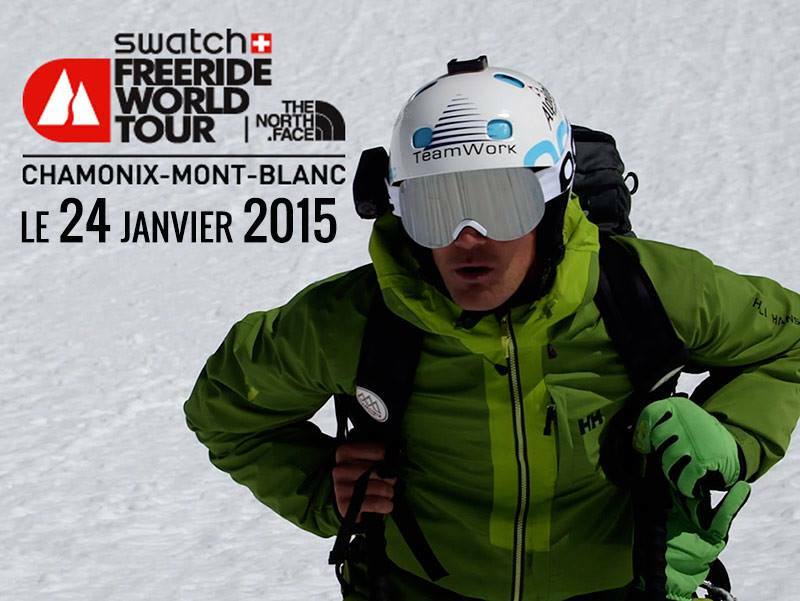 One of the biggest events of the winter drops in to Chamonix this weekend – the Freeride World Tour. This international competition pits the best freeriders in the world against each other in incredible locations on some of the most extreme mountains on the planet – starting off right here in Chamonix! 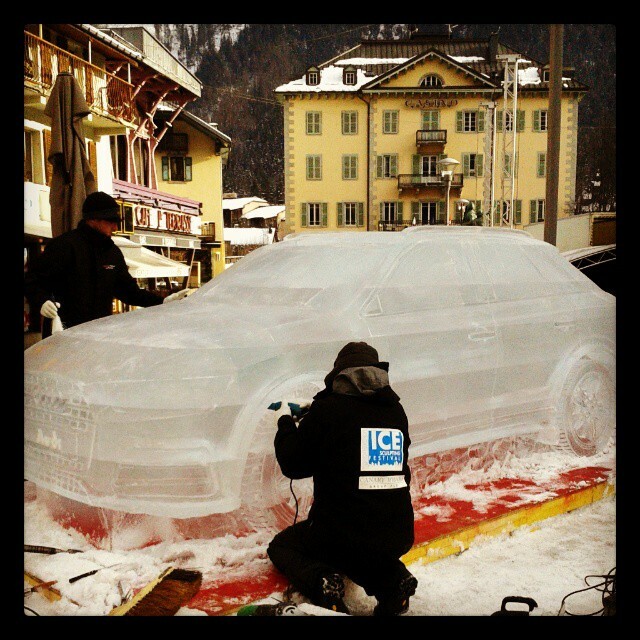 Unless you’ve been walking around with your eyes closed, you’ll have noticed the excitement building in town over the last few days – there’s a pretty awesome ice sculpture of an Audi outside the post office, massive TV screens are going up and the North Face and Swatch crews are there with plenty of entertainment lined up over the next couple of days. The competition takes place at Le Brevent from 8:30am until midday tomorrow – make sure you’ve got a lift pass so you can watch the action take place as the pros battle it out on the Chamois face (by the Cornu piste) and the juniors go head to head on the Hotel face (by the Blanchot piste). This year promises to be a bit different as the competition has never been held on the Chamois face before and has only just been confirmed as the official venue, so it’ll pose a new challenge for the riders! Chosen for having the best conditions at the moment, it is south-east / south-west facing with plenty of nice features and potentially interesting lines. No where else will you see so many world class riders shredding steep lines one after the other – it’s an amazing event to watch! All the riders were up there today, inspecting the faces and scoping out the best lines for tomorrow – head over to the centre of Chamonix tonight if you want to bump into some of them at the opening ceremony at 5pm followed by a DJ set with free mulled wine (yes, “free” and “wine” in the same sentence, we’ll be there!). 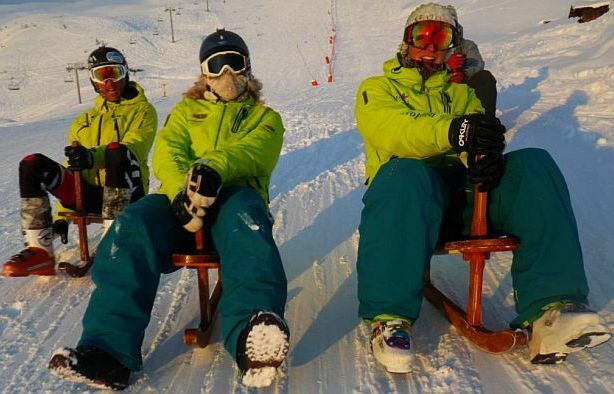 As well as the pro and junior races, there’ll be heaps of other cool stuff going on up Brevent tomorrow and Sunday such as free ski and snowboard tests where you can take the latest gear for a spin. 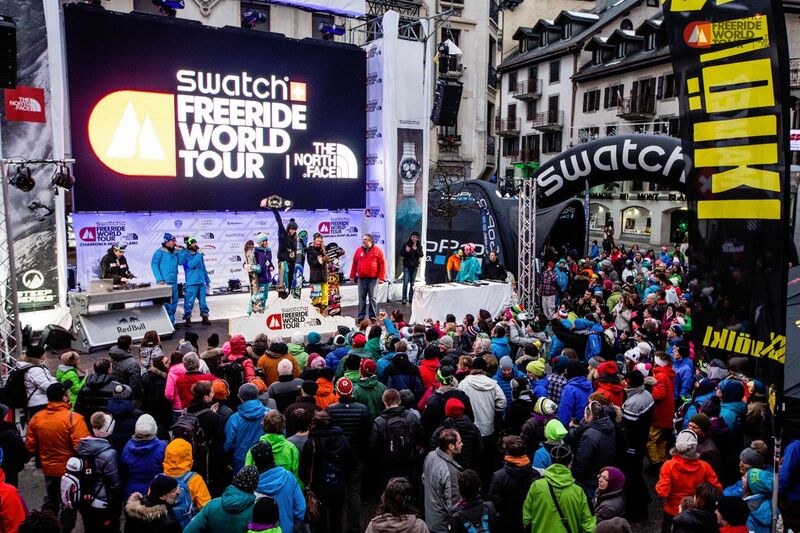 If you can’t be up the mountain then catch the live stream on the big screen in the centre of town and celebrate with the winners at the prize ceremony at 5pm. During the day there’ll be all sorts going on including slacklining, beacon searches and concerts finishing up with the Official FWT Party hosted by Mons Royale at La Terrasse from midnight to 2am and the FWT After Party at The Bunker from 2pm until… very late indeed. 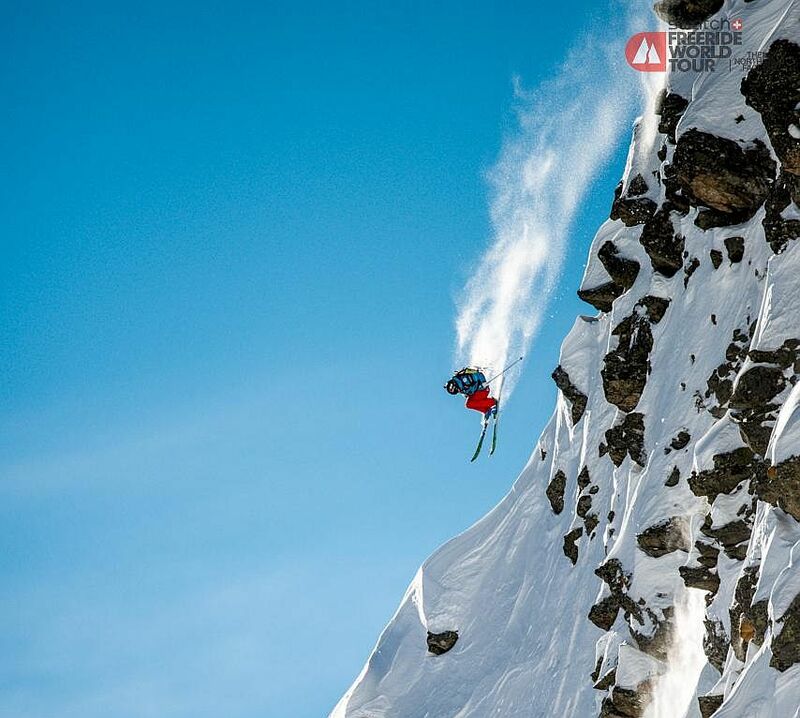 If you’re inspired by the skills of local boys Jonathan Charlet and Camille Armand why not sign up for one of our freeride or off-piste clinics where you’ll learn to drop in and shred the pow like a pro! 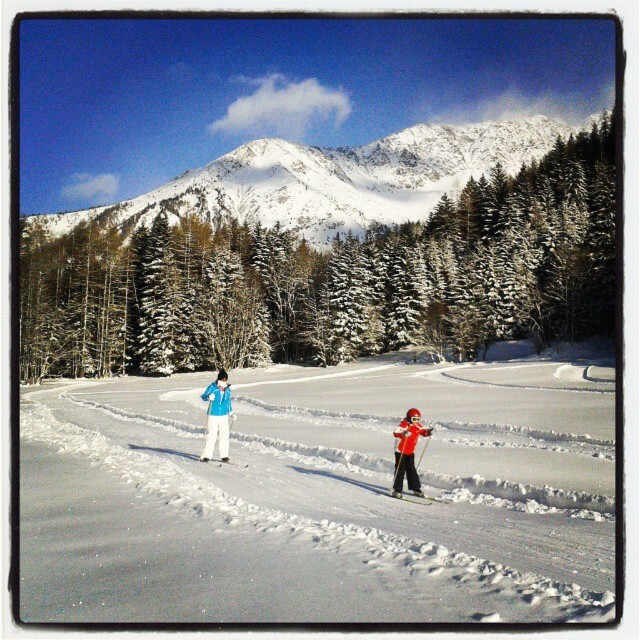 In the meantime, there’s more snow forecast for the coming week and temperatures are dropping, enjoy! There’s snow on the way and the week ahead is looking promising! We’ve been receiving a lot of calls and emails this week asking us what the snow’s like and, actually, it’s not bad! Wet weather early this week brought fresh snow up top, with more forecast for the weekend. Keep an eye on our Snow & Weather page for the latest reports. This season’s been a funny kettle of fish so far, it’s not as bad as people seem to be expecting: pistes are reasonably well covered, there’s powder to be found if you know where to look and there’s a lot to be said for not having to dig your car out every morning. However, the snow that we’ve had has come down in massive dumps then been interspersed with long dry spells and unseasonably warm weather, which makes for fairly unstable conditions up there. 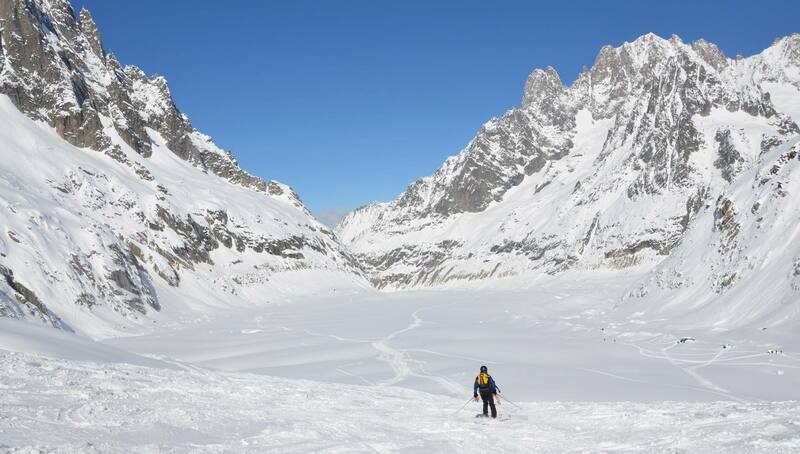 Mountain guides are understandably reluctant to take inexperienced skiers and snowboarders or large groups up the Vallée Blanche as they need to be extra alert for hazards and confident that they can lead their clients safely down the glacier. While they are still taking clients down the Vallée Blanche they are insisting on no more than 2 people per guide and those 2 people must be competent off-piste skiers, capable of handling conditions other than soft powder. The Vallée Blanche is not technically a difficult route, it is often compared to no harder than your average red piste, which is why it is so accessible even to those who don’t have huge off-piste experience. It is glacial terrain though, which is why it is essential to take a guide. 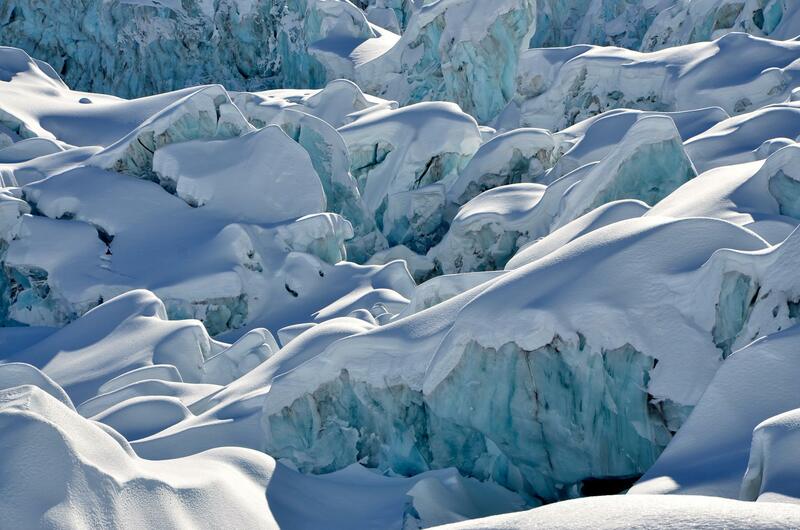 Glaciers constantly shift and evolve, with crevasses opening up and changing shape with every different weather pattern. This is why none of our guides would ever compromise your safety by taking you down if they thought that conditions were too bad or that you weren’t ready to tackle it. Off-piste in Chamonix is not all about the Vallée Blanche though, it has so much more to offer and there is some fantastic terrain over at Les Grands Montets. 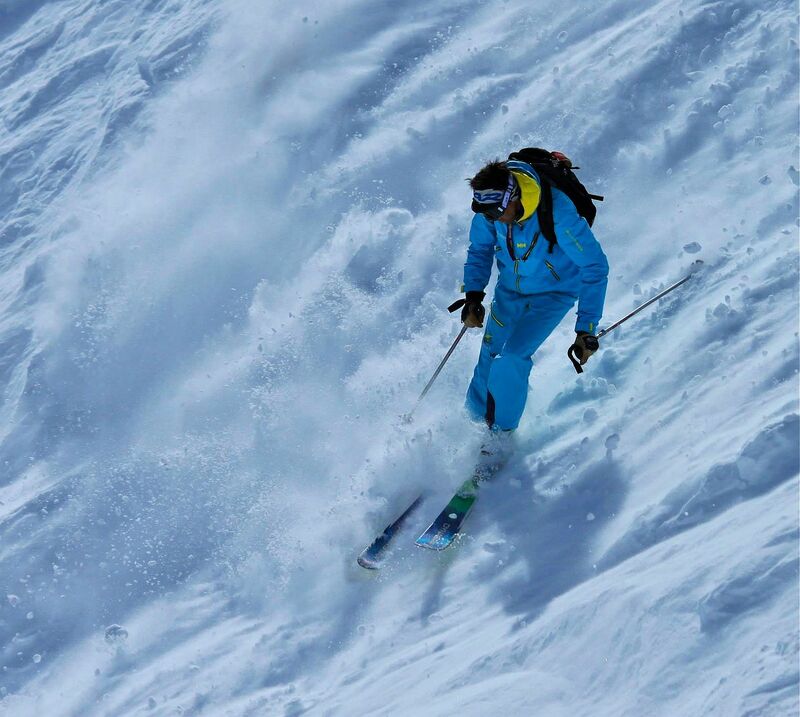 An ideal way to explore (and to learn essential safety skills) is by doing an off-piste course. There are a number of options to choose from and once you know how to handle all types of terrain you’ll be shredding like Candide Thovex (kinda). Do you know where the Dream Forest is? 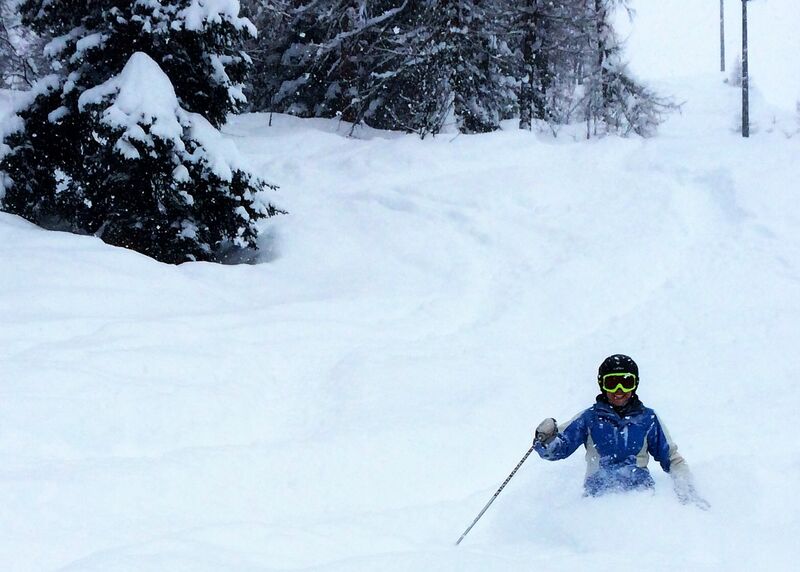 All Mountain – one of our favourites, this 3 day course takes you all over the Grands Montets into bowls, gullies and powder fields where you’ll learn how to ride off-piste, make steep turns, attack moguls and handle bad conditions such as ice and hardpack. 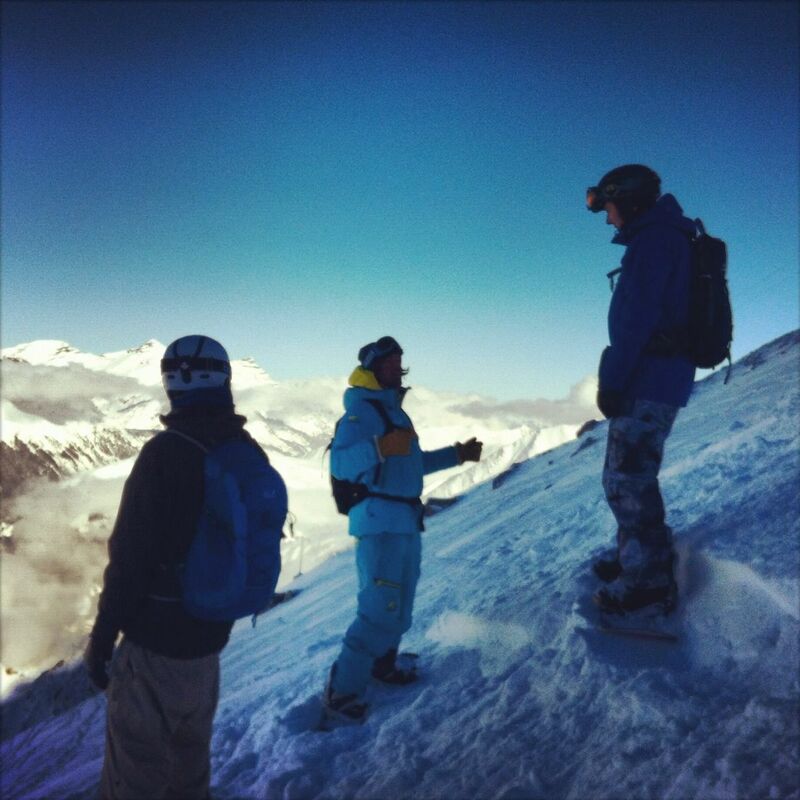 Your guide will seek out the best places for the conditions and teach you how to master the mountain like a boss. Split over 3 half days at 195€ per person, this is ideal preparation for doing the Vallée Blanche – your guide will let you know if you are ready to do it. 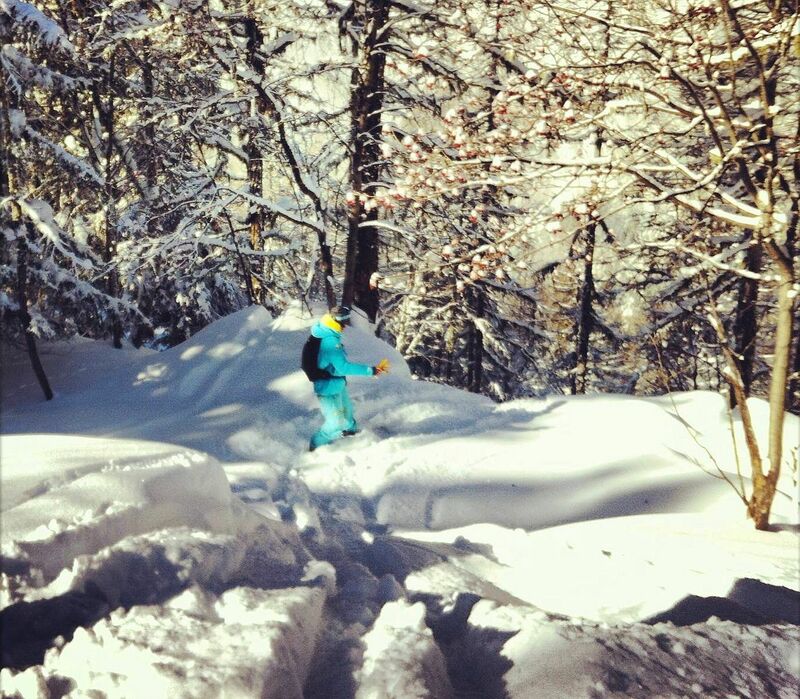 Ski Touring / Split Boarding – to find the best powder, sometimes you have to put in a little effort! Ski touring will take you away from the lifts and pistes into the back country where you will hike to find the best snow, then make fresh tracks all the way back down. This is an initiation tour, so the hike won’t kill you and your guide will give you plenty of tips on how to get the hang of it. At just 90€ per person, it is a fantastic day out. Avalanche Awareness – learn invaluable skills and have a great off-piste experience. If you want to explore then you need to learn how to do it safely, especially with the snow pack being as unstable as it is this winter. This half-day course will take you into the mountains and teach you the basics of assessing the snow conditions, evaluating the avalanche risk, carrying out a search using a transceiver and what to do if the worst happens. 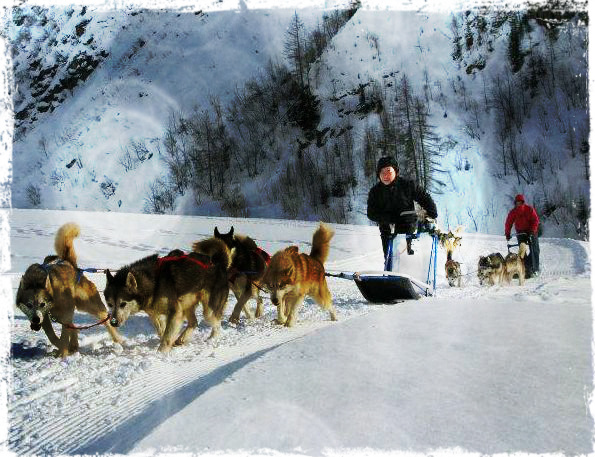 At just 69€ per person it’s an investment that you’ll use every time you go off-piste. 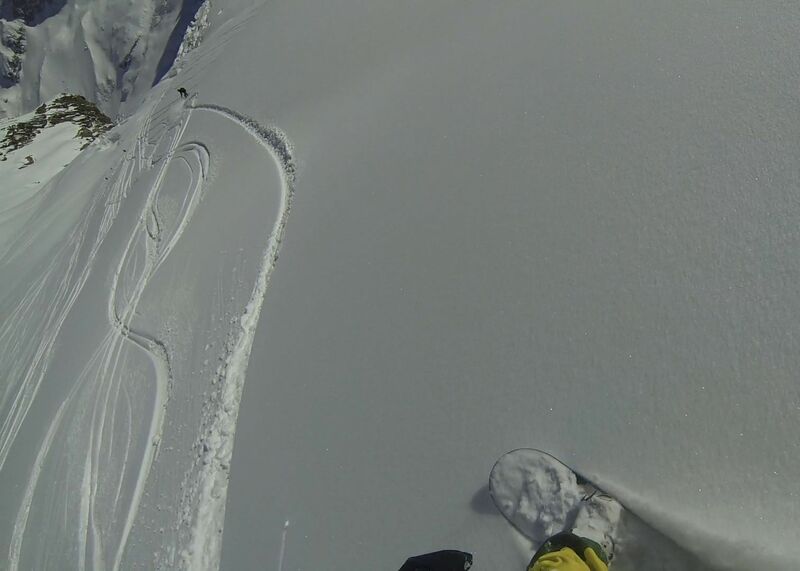 We also have a ton of other options to offer such as private ski/snowboard guiding, off-piste lessons for everyone from beginners to experiences skiers/snowboarders, longer ski tours with overnight accommodation in mountain refuges, snowshoe treks and so on. Please visit our website or contact us for more details. In the meantime, have a great week and enjoy the snow! 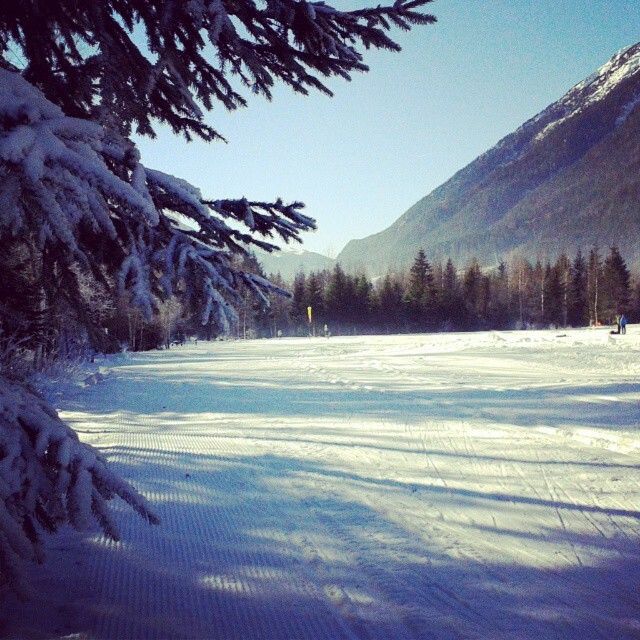 This week I’ve been doing more cross-country skiing than Alpine skiing, making the most of this crisp clear weather. There are plenty of cross-country trails in the valley and conditions are a bit more dependable than up on the mountain. The most obvious trails are the ones that start behind the sports centre and wend their way through the Bois de Bouchet forest and alongside the river. They’ve had snow cannons on the first bit and the coverage is actually really good, no slushy bits or stones showing through. Unfortunately the track is a lot shorter than usual as the snow cannons only go so far and the natural snow cover is a bit on the sketchy side after that. If you just want to do laps of the parapente field though, it’s great exercise and perfect for beginners. The good news is also that they’ve reduced the trail pass price until they can open more of the area – just 5.50€ instead of the usual 11€. Higher up are the beautiful tracks at Les Houches – high on the Prarion plateau they overlook both the Chamonix and the Saint-Gervais valleys. The trails are more challenging up here with a few hills to push yourself up and a few fun descents to test your balance on! They are also open to snow shoe walkers, if that takes your fancy. 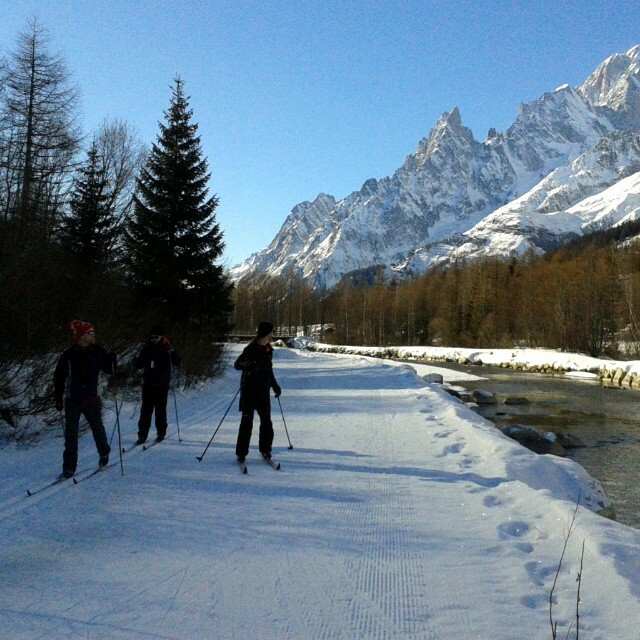 For gentle cruising along wide open trails with the occasional foray into snow-frosted forests, you can take to the trails at Argentiere. 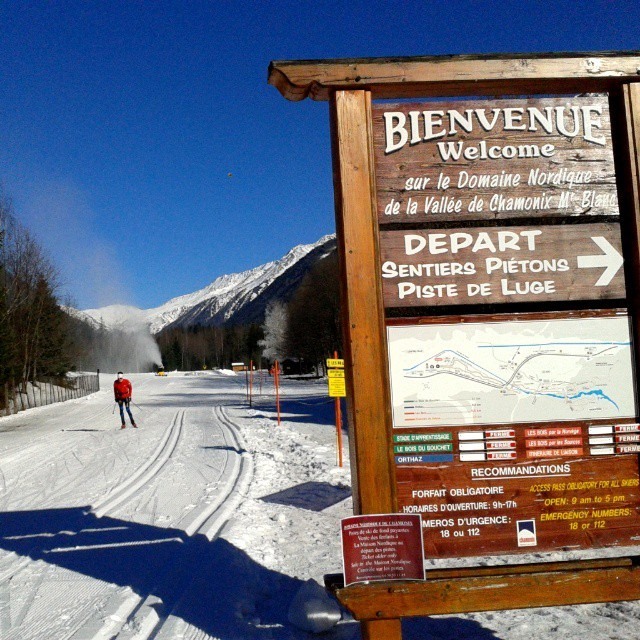 Starting near the Les Chosalets beginner ski slopes you can keep to the short circuit or you can go all the way to Vallorcine via Le Buet and then reward yourself with a hot chocolate and a crepe at the railway station café! One of the best things about cross-country skiing is that you can try it out without coughing up a fortune. Trail passes are nowhere near as expensive as lift passes, Chamonix and Argentiere both cost 11€ and Les Houches is 16€ or included in your Mont Blanc Unlimited lift pass. The kit is fairly cheap to hire and if you want to have an expert show you the ropes then consider booking a lesson, it’s not as hard to learn as Alpine skiing or snowboarding (or as painful! ), so you’ll nail the basics in no time and with a bit of practice you’ll be flying round the tracks like a biathlete! Once you’ve got the taste for it, a trip to Val Ferret is a must. Just the other side of the Mont Blanc tunnel is a beautiful valley with a river running the length of it and cross-country ski tracks lining either side. This being Italy, there are also fantastic restaurants all along the way and wonderful places to stop for a coffee and a piece of cake (not that the only reason we ski is to justify crepes and cakes, of course). Our partners at Haute Transfer run regular scheduled trips in a warm comfortable mini-bus for just 30€ return. 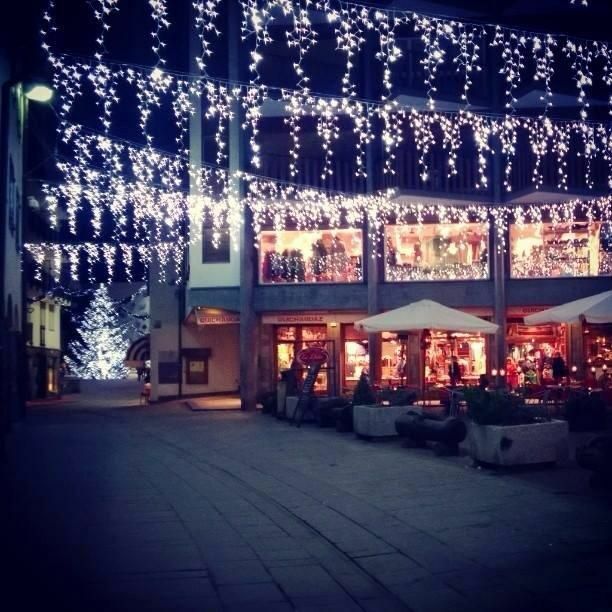 If you wanted to explore further and combine it with a shopping trip to Aosta or dinner in Courmayeur we can arrange that for you, just contact us for a chat. 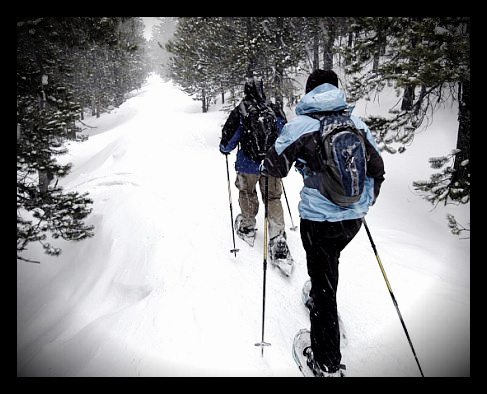 You can read more about cross-country skiing and snow shoeing on our Nordic Activities page. 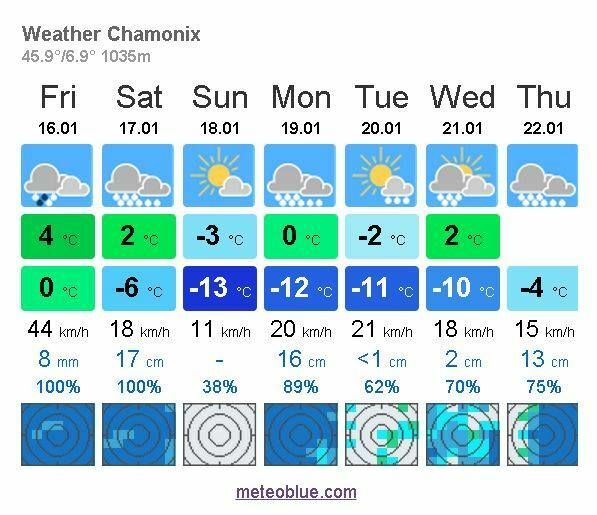 A little birdie (well, France Meteo, actually) tells us that there is more snow on the way this weekend – mild temperatures means that it may fall as rain down at valley level but it will provide a welcome top-up of snow on the higher altitudes. Have a great weekend, whatever you do! Snowy Start to 2015 – Bring It On! 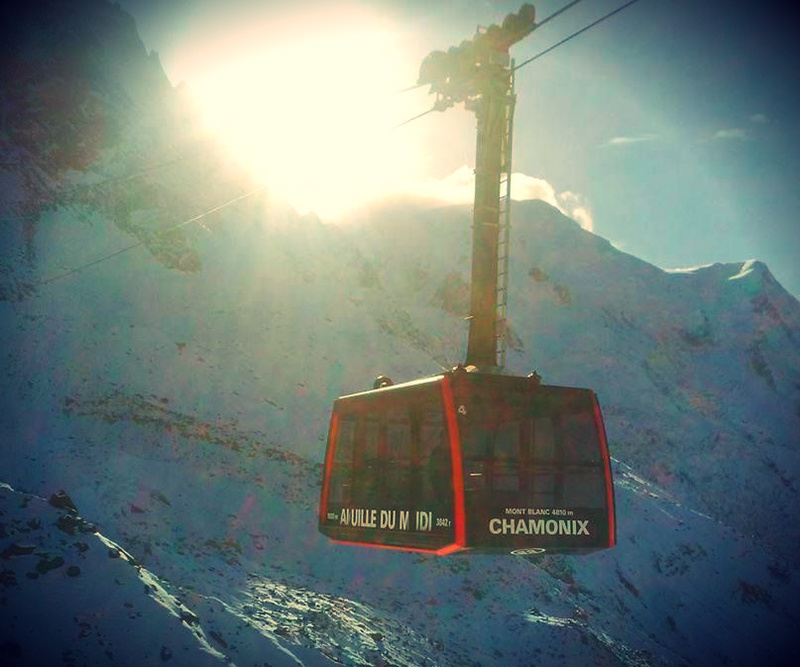 Happy New Year from Chamonix! If the rest of 2015 is as beautiful as these first couple of days then we’ll be very happy bunnies indeed, we just need some more of that lovely snow and we’ll be sorted. It may have been a tad on the late side this year but when it came, it really came. 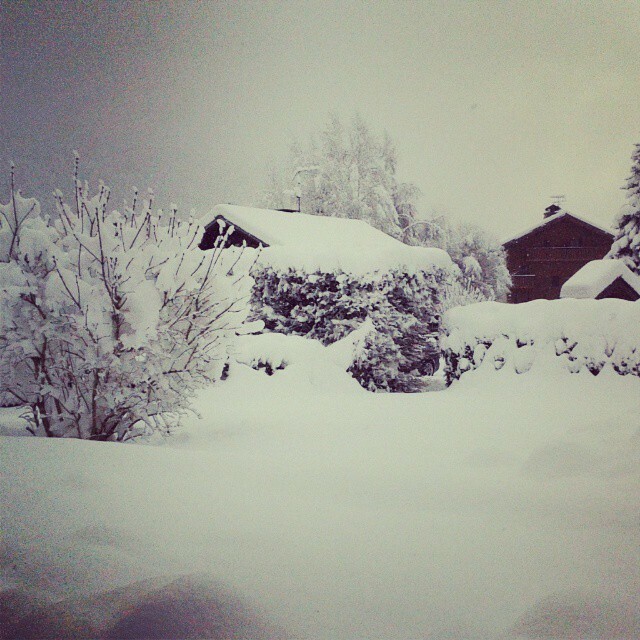 Here in Chamonix we got almost a metre in just 2 days! Ski resorts across France were thrown into chaos; gridlocked roads, stranded cars and some poor folks had to sleep over in schools and churches. There’s been a lot of criticism in the press about how it was handled but, in all honesty, all we saw was everyone trying their hardest to make a bad situation bearable. If working a 60 hour week sounds like a lot then try doing it in one stint without a break – that’s what some of the reps had to pull out of the bag to make sure their guests were looked after. Thankfully here in Chamonix we were relatively OK, Chamonix has one of the best access routes in the Alps with a direct well-maintained road all the way to Geneva airport. 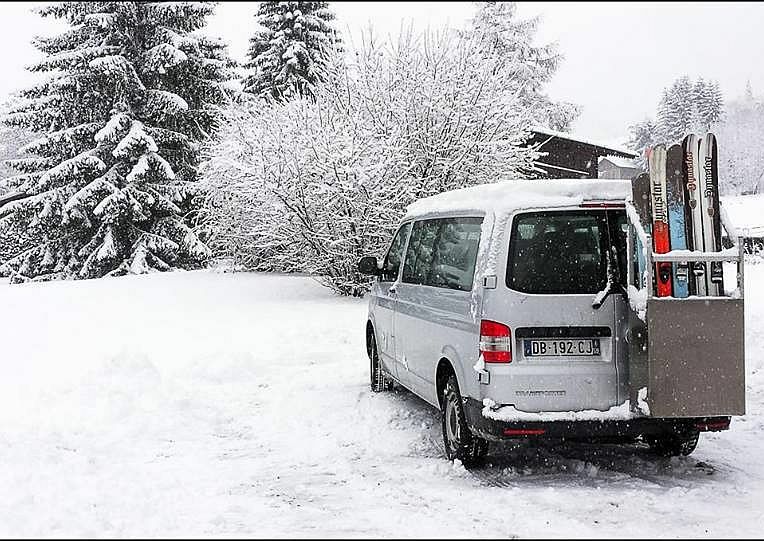 With a very short transfer time of just over an hour and no fiddly mountain passes to negotiate, it’s very rare for heavy snow to cause big problems especially if you’ve booked an airport transfer. However, Saturday was still a bit of a mission with folks getting stuck in snowdrifts, spinning their cars on icy corners and wrestling with snow chains in the middle of busy roads – if you’re planning on driving to Chamonix then please have a practice with the snow chains before you leave and make sure your car has decent winter tyres – and have a little read of our Driving in the Alps page before you set off, you might thank us for it later! No matter how much chaos it causes, we are always so happy to see the snow. 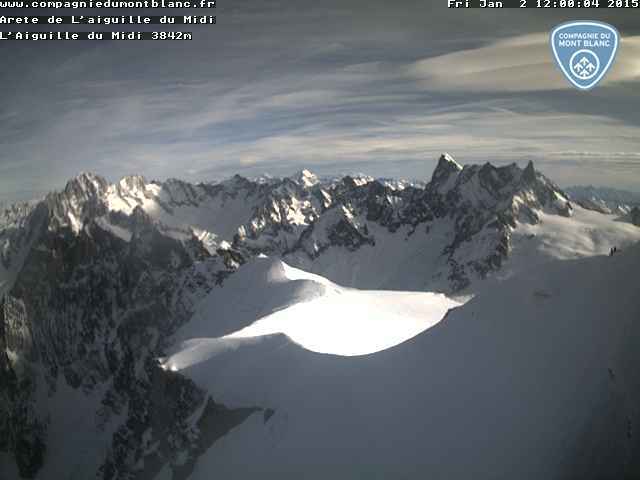 You’d think that having been in the Alps for so many years we’d be a bit over it, but no! We still get uncontrollably excited, obsess over when and how much is due to fall and have even been known to make the odd snow angel (usually following a particularly good apres-ski). No matter how late we’ve worked the night before, if it’s a powder day we’ll still be first in the lift queue the next morning frantically checking Facebook and texting friends to find out where the best conditions are. Pistes across the valley are now looking good, with plenty of coverage even down low – cold temperatures have meant that snow cannons can keep the natural snow topped up nicely. We have a handy new page on our website with daily updates on which lifts and pistes are open, check it before you head out in the mornings to find out where’s your best option. Whenever we get a big dump of fresh snow the temptation to go off-piste into deep fluffy powder is irresistible – there’s no better feeling on earth than making fresh tracks through fresh untouched snow! However, conditions change with every different weather pattern and what looks like great fun can be really risky without the right equipment and especially the right knowledge. Chamonix has some off the best off-piste terrain in the world but please, please, please hire a mountain guide before you go exploring. Whether you want to ski the legendary Vallée Blanche, go back-country amongst the glaciers or drop into some powder-filled couloirs don’t even think about doing it without a qualified and experienced mountain guide. Not only will they take you down the safest route, they will also know the best places to go for the current conditions – meaning that you’ll have a way better time than if you went by yourself! Our guides are all UIAGM / IFMGA qualified and know this valley inside and out, they all come with built-in powder navigation system and freshies radar as standard. Contact us now if you would like to book a mountain guide or have any questions about skiing and snowboarding in Chamonix. If you’ve been wondering why the Planards piste is all lit up at night then it’s in preparation for the FIS European Slalom Cup which takes place tonight and tomorrow under the floodlights! 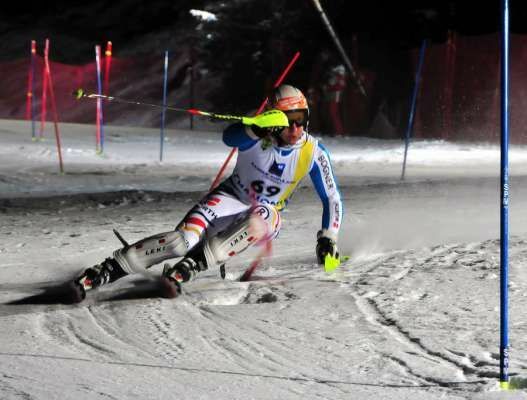 Races start at 6pm and it’s a spectacular sight with Europe’s best slalom skiers battling it out to be the champion. It is free to watch and there is a restaurant at the bottom serving hot drinks so get and catch some of the action if you get chance.